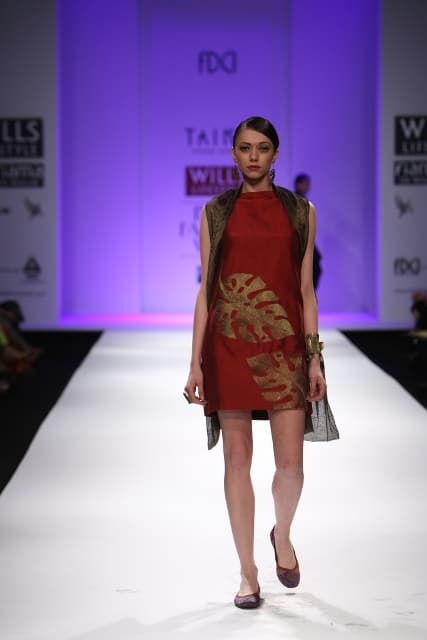 It was jam-packed show at Wills Lifestyle India Fashion Week A/W 2013. Poonam Bhagat has showcased her Autumn Winter collection on Day4 today at WIFW. 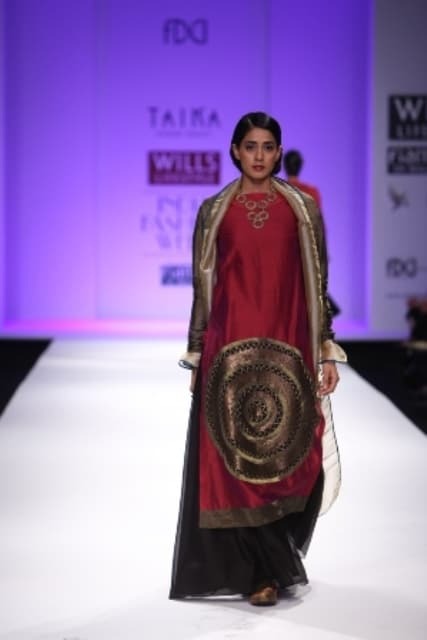 She used lots of hand-loom fabrics, Chanderi Silk, Khadi and Tussar silk too in her collection with so many asymmetric overcoats, long flowy silhouettes, Color Blocking and Bronze Prints! Accessories in her show was designed by her Friend Monika Sharma; were just fabulous.. Includes stunning Ear-cuffs, Oversize Ear-rings and some stunning neck-pieces too. We brought you Best Collection Pictures Here.. There You Go..